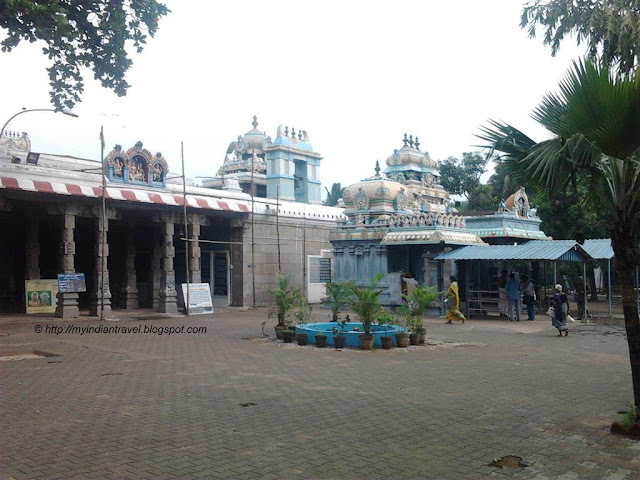 Marundeeswarar Temple in Chennai occupying an overall area of 1 acre is one of the oldest temples in the Thiruvanmiyur region. In the 11th century this temple was expanded by the Chola Kings. The temple can be entered through the huge five tiered gateway tower. 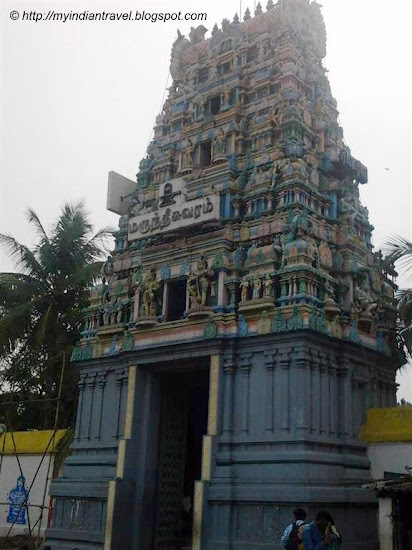 The temple has two entrances, one from East Coast Road and the other from West Tank Street both adorned by 5-tiered gateway tower.The colourful stucco figures adorn the towers. The temple is dedicated to Lord Shiva is facing west. There is a separate mantapam for his consort Thripurasundari. 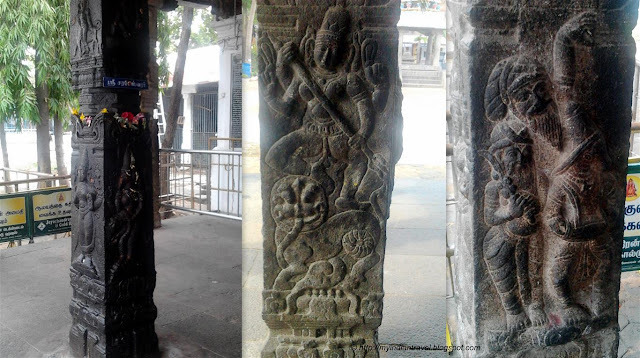 The tower above the sanctum of the presiding deity is of Chaturvastam design.The mandapam of the main temple has a front hall with 36 massive pillars adorned with carvings. 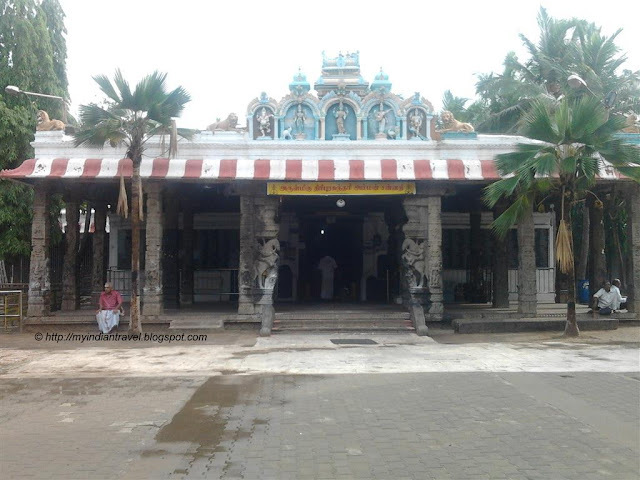 The temple has smaller Shrines for Ganesha, Murugan facing the east. Beautiful trample. Nice post and pics. beautiful picture of the temple..
As usual your buildings are really interesting. I love the ornate statues in the first photo. Would be good to see some of them close up. I'm always amazed at the intricate variety of carved figures adorning the temples which you share with us they are just fascinating. Thanks for sharing your visit with us @ Mosaic Monday. I am always amazed by the temples and the incredible amount of work that has gone into building them. Thanks for sharing them with us. Wow, beautiful temple. So much to see. Very beautiful ornamentation....enjoy your week! The five tier entrance is very impressive. This one is beautiful with so many Colors. This is one majestic temple ! Beautiful. Some nice shots capturing the feel of the temple. Beautiful capture on the ancient temple of our neighbourhood!